Fishing has been a part of my life from an early age. My Dad introduced me to angling and I quickly developed a passion for not only being out on the water fishing, but being outdoors. I have a fascination for catching different species of fish on lures or flies, and I’m as happy exploring the tiniest of streams as I am being out on the open ocean. I’ve been very fortunate to have travelled to some spectacular destinations, both here in the UK and abroad, trying to catch as many species as possible. So far, I’ve caught 228 species. I work for Farlows fishing, shooting and country clothing store in London, and I’m a Consultant for Fox Rage and Salmo lures. I’m also an Ambassador for the Angling Trust and have fished for England in two disciplines - the England Youth Fly Fishing Team and the Team England Lure Squad. 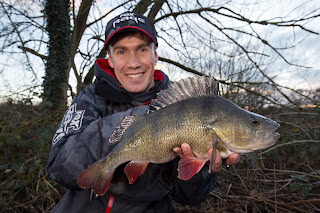 Back in 2012, I was very lucky to have been given the opportunity to become a consultant for Pure Fishing, representing brands such as Abu Garcia, Berkley and Sébile. I’ve had some amazing experiences fishing with top anglers and made some great friends, and it’s been a massive learning curve, not only about fishing, but also the angling industry. 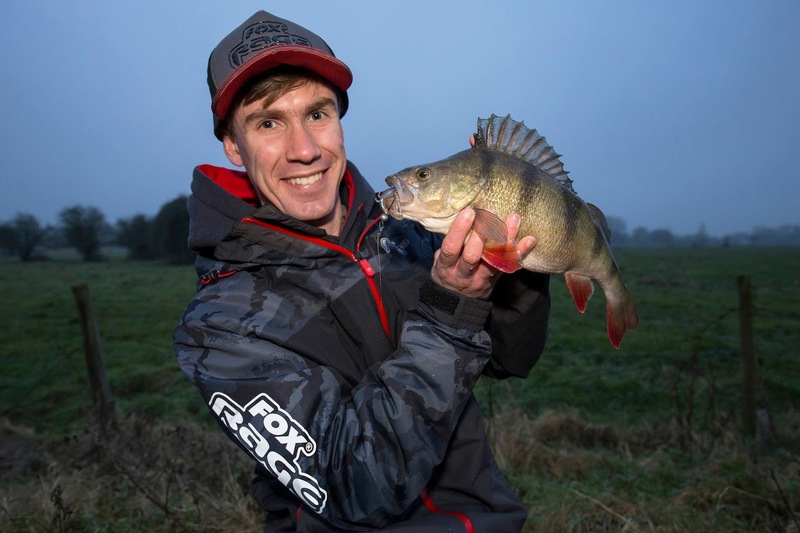 At the end of last year though, I made the decision to join Fox Rage and Salmo as a consultant for them, and my Dad also joined as a sponsored angler. 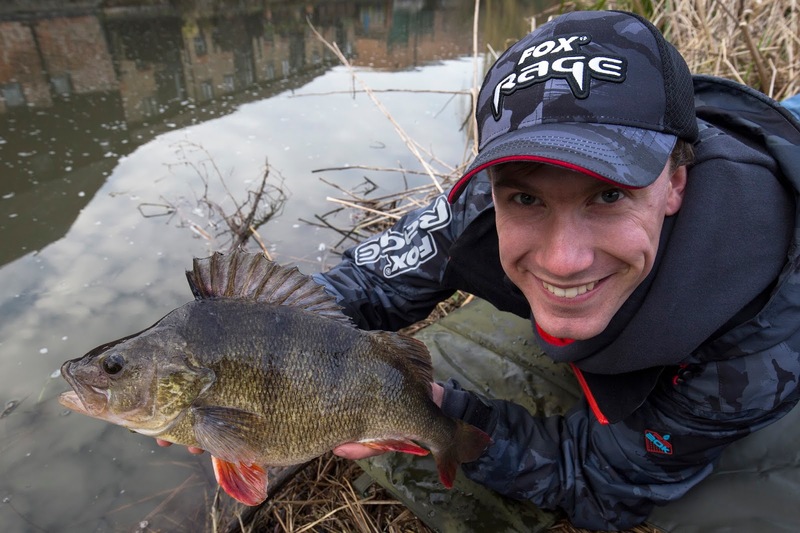 I’d like to thank Pure Fishing for the last six years, and we’re very grateful to the team at Fox and Salmo for giving us both new opportunities! 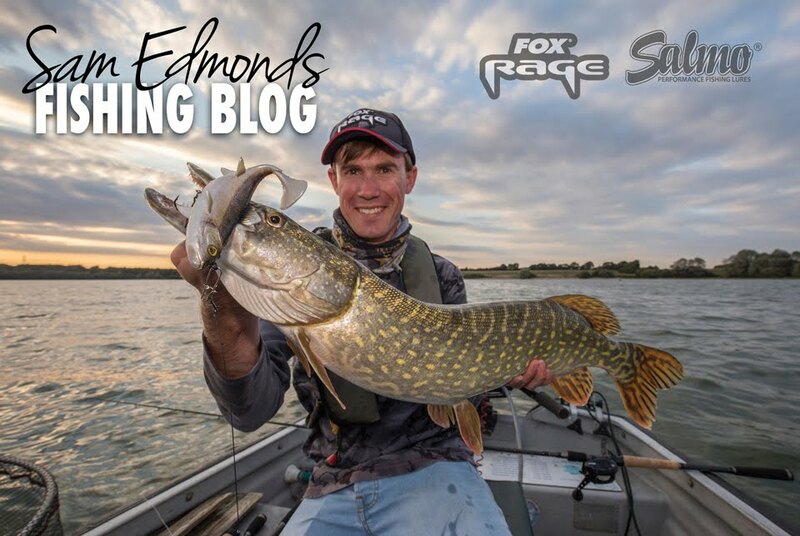 Joining Fox Rage and Salmo hasn’t been the only change this year. 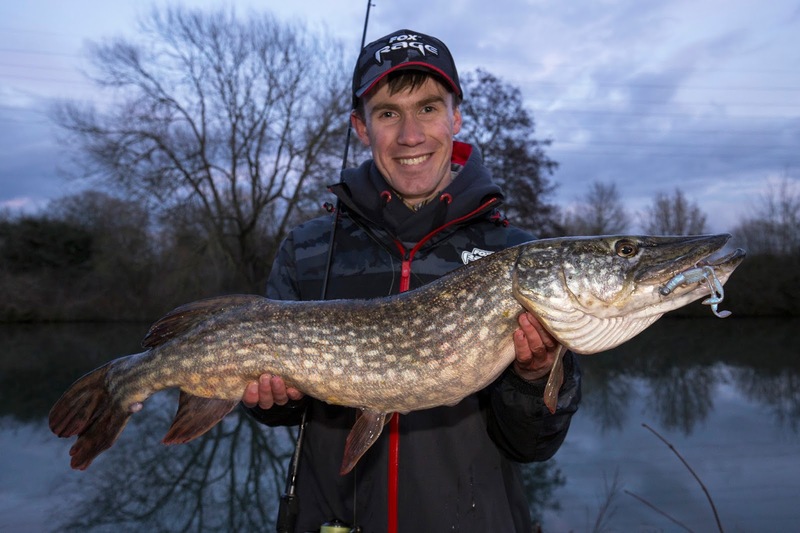 Towards the end of last year I also made the decision to have a change of direction from my main job at Get Hooked on Fishing, where I was Project Manager for the East of England. I can’t thank the team and trustees at the charity enough - I've had some fantastic times, learned a lot about coaching and met some great people. I'm also very grateful for all the volunteers that have helped the charity out at events that I've organised over the last few years - without them it wouldn't have been possible. So 2018, so far, has been all about change - getting used to new gear, and a new job, which I started in February, at Farlows in Pall Mall. As a boy, I always used to look forward to days out in London, and one of the highlights was to visit Farlows with my Dad, so to be working in such a prestigious store with so much history is a great privilege. 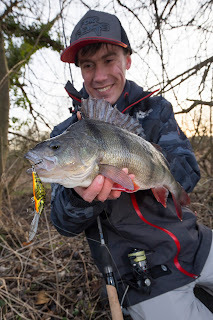 Prior to this year, I hadn’t used much of the new Fox Rage gear, apart from Replicants and Chubby Shads (which I’ve caught a lot of fish on, but that was a long time ago!) although my Dad and I have been using Salmo lures since they first came over to the UK, and over the years we’ve caught some fantastic fish on them, which I’ll come on to a little bit later. 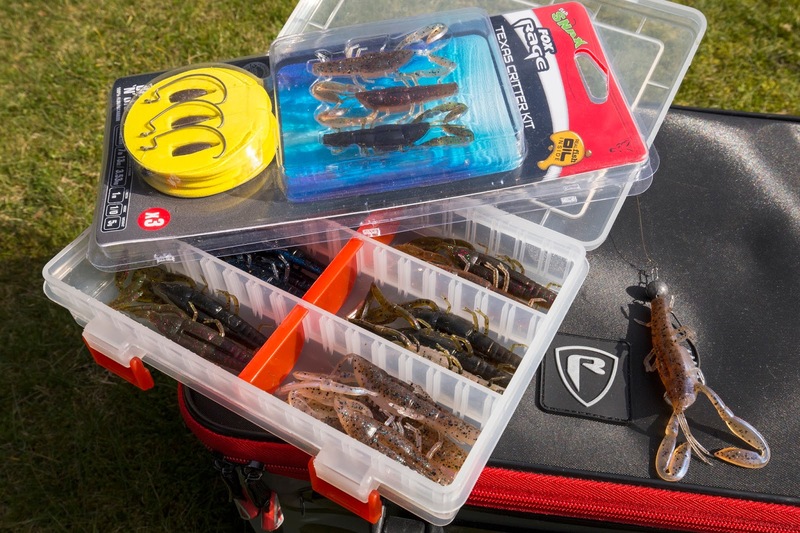 It's always exciting trying out new lures, and one of the ranges of soft baits that I couldn't wait to try were the new Critters. Both my Dad and I are a huge fan of creature baits and as soon as we saw them we were confident the fish would like them! They have a slimmer profile than many creature baits, which I really like, and a very subtle action - perfect for finicky fish. 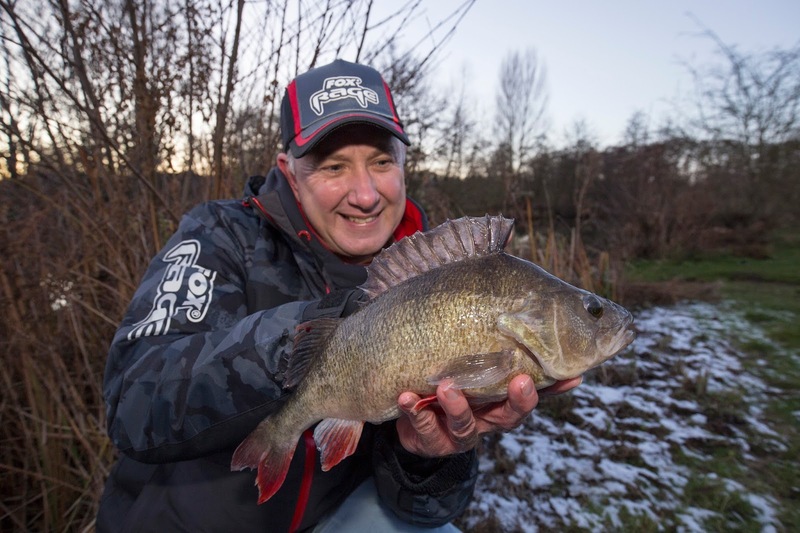 Since the beginning of January, we’ve managed to catch some nice fish on the Critters - Dad’s second fish caught on the critter was a chunky 3lb+ Perch - his first ‘3’ of the year! In February, I met up with Steve Phillips, the Fox Rage/Salmo Media Manager for a film fishing with the Rage Critters. 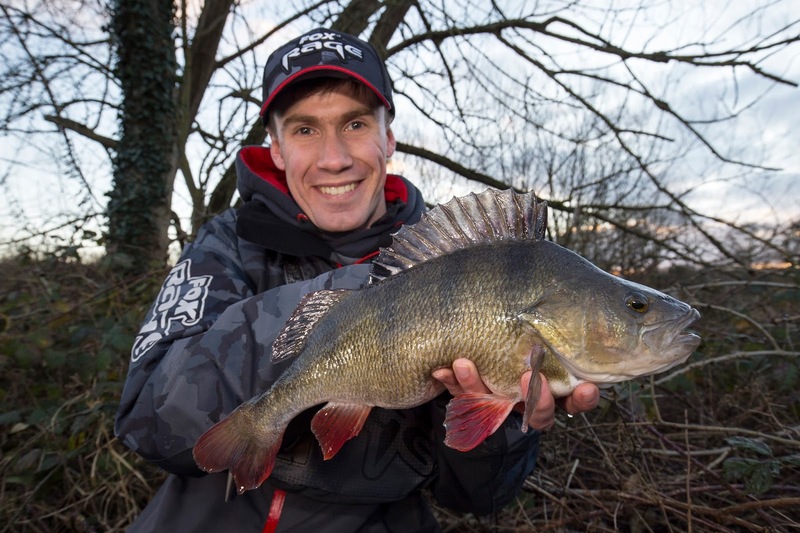 I was really looking forward to working with Steve as we’ve worked on features before together for LURE and Total Coarse Fishing. I was really hoping the rivers would fine down in time, as we’d had a lot of rain before the film and a lot of my local rivers had been chocolate and bombing through, but thankfully the river we’d chosen to film on looked almost perfect on the day, although there was rain forecast on the day of the filming. I set myself a challenge to catch a Pike, Perch and a Chub on the Critters, and managed all three species, including a bonus Trout! Dad and I have also been experimenting with using the Critters for trailers for chatterbaits, and this has also helped us catch some nice Perch in the final few weeks of the season. On the same day as I caught the Perch above, Dad, who was jigging a 7.5cm Zander Pro Shad, hooked what he first thought was an enormous Perch, as his Twitch and Jig rod was bent almost double and the fish, at first, was giving some heavy headshakes. 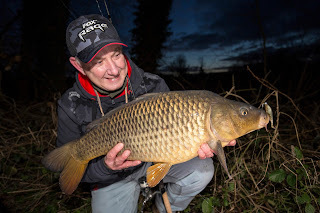 As the fight went on though we realised it was going to be either a Pike or a Carp, and it turned out to be the latter - not the species Dad was expecting to be his first fish caught on a Zander Pro Shad, but an immaculate winter Common, hooked perfectly in the top lip! 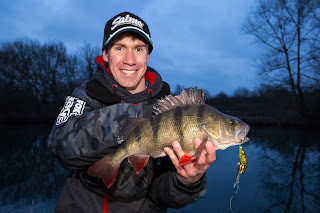 A week later, we met up with Steve again, to film a tips video on targeting big Perch. 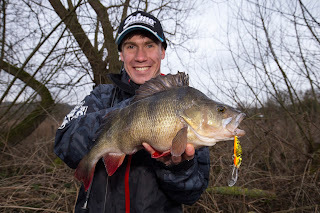 It was a freezing cold day and when we first started fishing the braid and rings on the rods were freezing up, but we managed to catch a few fish. 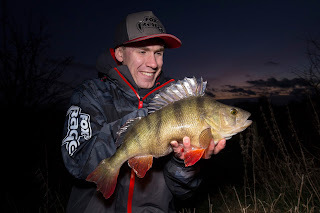 After the film, Steve stayed on and fished with us for a while, and caught one of the fattest looking Perch we’d ever seen! The three of us first thought it might reach 4lb, but it measured 41cm and weighed 3lb 9oz. 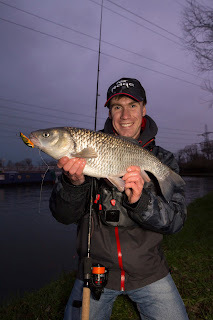 It was a fantastic looking fish and a great way to round off the day! 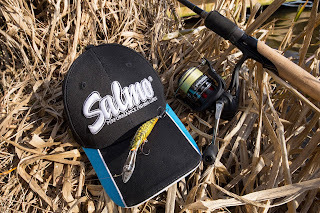 As I mentioned earlier, my Dad and I have used quite a few of the Salmo lures over the years, and one of our favourites has been the Bullhead Super Deep Runner. 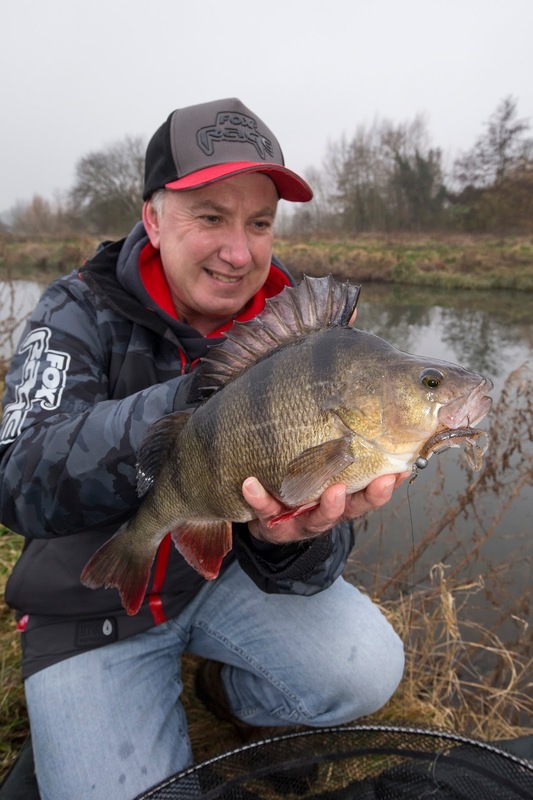 My Dad especially has caught some fantastic fish on the Bullhead, including Perch to over 4lbs and an 8lb 10oz Brownie from my local River Lea. My first fish caught on the Bullhead this year was a Chub, caught along a section of river where I've only ever seen one Chub caught before, and that was a fish my Dad caught over 10 years ago on a curltail, so it was a nice surprise to catch another one after all that time! For the last few weeks of the season, normally, the weather improves and you start to feel like Spring is on it’s way - not this year though! Britain was hit with the so-called ‘Beast from the East’ that brought with it snow and freezing conditions that even caused parts of my local rivers to freeze over! 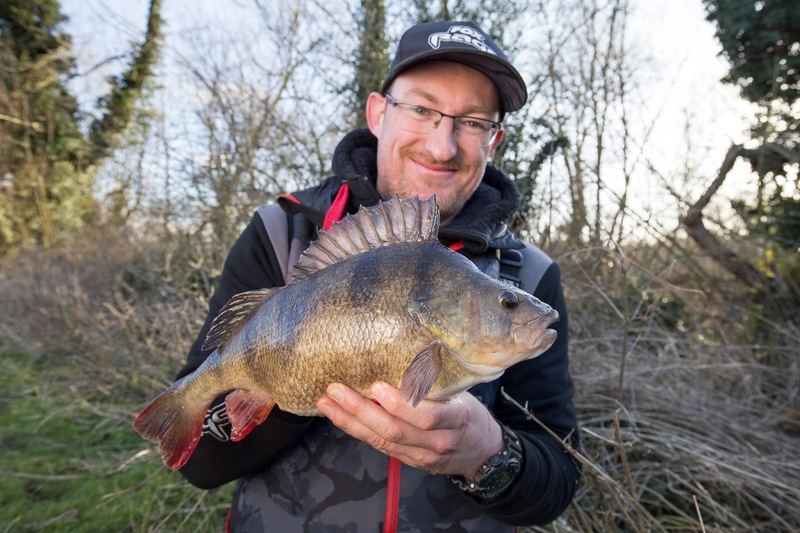 In the past, when I’ve fished in these kind of conditions, I’ve found tactics such as jigging and drop shotting work better as you can fish these tactics very slowly, but the Bullhead continued to produce fish. Right in the thick of the ‘Beast from the East’, I had a feature pencilled in the diary with Steve about using the Salmo crankbaits. To be honest, I didn’t think it would go ahead but Steve was keen to come along and freeze with us! 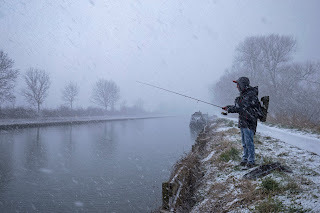 It was one of the coldest days I’ve ever fished on - the car thermometer read -6°C (but with the wind chill it felt much colder) and the conditions were absolutely brutal, with a strong easterly wind and heavy snow blowing in our faces for much of the day. Every other cast was spent removing ice from the guides and even the braid and reels were freezing up! 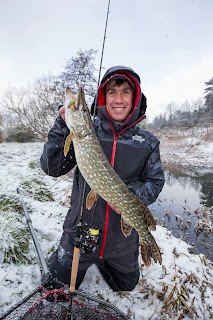 Although not a monster, I was very happy to catch this Pike in such extreme conditions! Thankfully, it was a bit warmer on our next trip! It was one of those days where the weather forecast was changing every few minutes and by mid afternoon it was raining heavily. However, not long after it started to rain, I had a bite on the Bullhead. 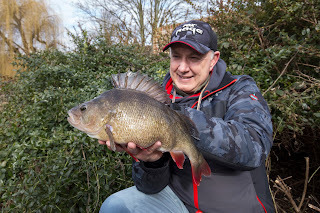 The fish didn’t fight particularly well and came in like a sack of potatoes, but it had quite a bit of weight and as it got closer to the net I could see it was a very big Perch! I was secretly hoping it would scrape 4lb, but it exceeded that and at 4lb 4oz and 46cm, it was my biggest Perch of the season. 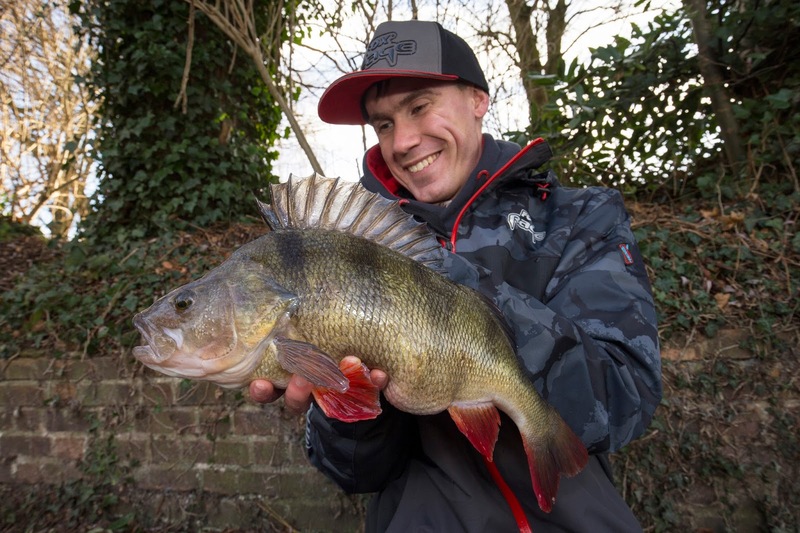 It’s also my biggest crank bait caught Perch, so I was well chuffed with this fish! It was shortly followed by another nice Perch of 2lb 8oz, also caught on the Bullhead. 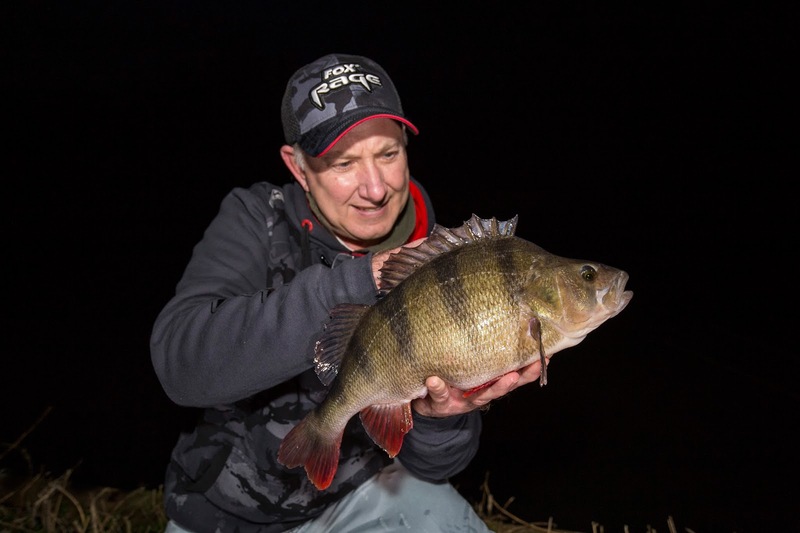 The next day was Dad’s birthday and he set himself a target to catch a 3lb+ Perch, and he achieved his target within the space of an hour! 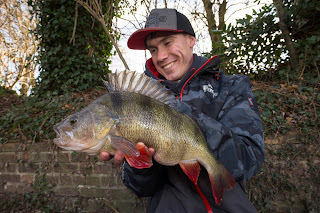 That was the only Perch we caught between us that day though, apart from a couple of jacks. On the last weekend before the end of the river season, it pretty much consistently rained, which was bad news for a lot of anglers wanting to fish on the last couple of days of the season. I wasn’t able to fish on the last day, so Dad and I fished on the penultimate day, determined not to be beaten by the poor river conditions! When Dad and I turned up to fish, we knew with only inches of visibility it was going to be a tough day - and it was! I only had one bite all day, but I was very pleased with my last fish of the river season!